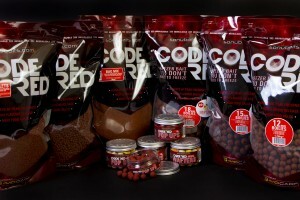 Over the past two years I’ve been lucky enough to be using the new Code Red boilie range from the Sonubaits/Avid camp. It seemed a good choice for me as my fishing is mainly short day sessions or overnighters, so I needed a bait that could be taken to any water and hopefully catch carp straight away but also the boilie had to be a long term food bait which the carp would then treat as a high quality food source. Code Red certainly ticks all these boxes as it is a fresh bait which stays fresh meaning that it its attractants begin to release as soon as they are in the water and the ingredients in the boilie mean that it creates food signals until it is eaten or breaks down. The added bonus for me is that it is a shelf-life boilie taking all the best features from a freezer bait and shelf life bait and combining the two to create a modified bait which would have the best quality ingredients to make the boilie but without the need to freeze or air dry to prevent it from turning mouldy. I know many of you reading this will already be groaning at the mere mention of shelf-lifes but I kid you not Code Red is every bit as good as any freezer bait. This is because the high levels of liquid food attractors in Code Red means they have the same texture as freezer baits and therefore the attractants and food signals start releasing straight away when the baits are in the water. 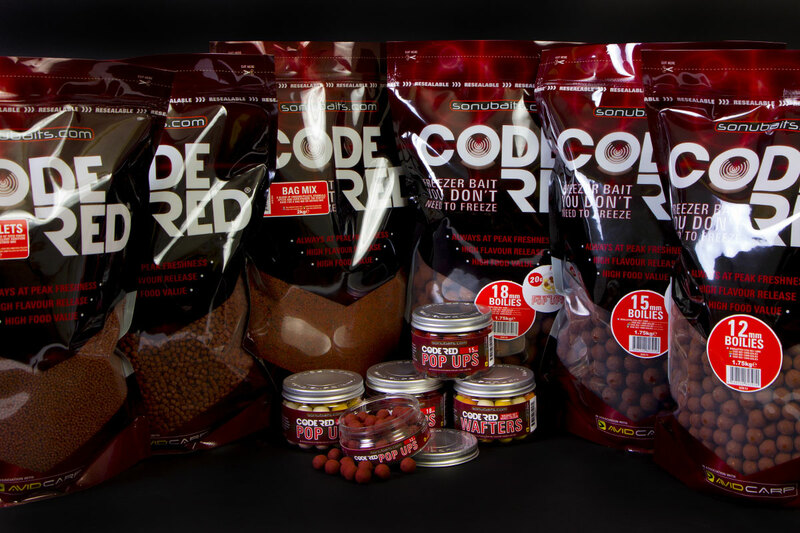 The level of highly digestible ingredients including pre-digested fishmeal and liquid liver means the carp will recognise Code Red as a valuable food source and keep coming back for more. All in all Code Red is a convenient, all round (no pun intended) bait which due to its precise levels of natural preservatives such as salt, sugar and oil along with modern tasteless and odourless preservatives used in the food industry is a bait which stays fresh, therefore no more freezers, air drying, rehydrating and throwing away mouldy boilies. They come in one and a half kilo re-sealable bags at a cost of £19.99 which is about average for a freezer bait in this day and age but with the added bonus of a tub of pop-ups in each bag. To complement the boilies there are matching pellets (2 and 4mm), food dips, oils, wafters and a really awesome bag mix that I personally have used to good effect on waters such as Oxlease and Farlows. 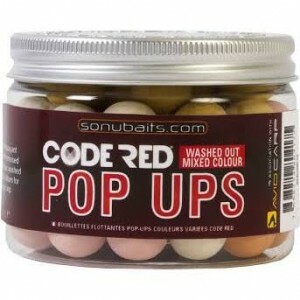 Sonubaits is at the very forefront of providing bait for the Modern Angler. Creating high quality fishing bait is about listening to leading anglers requirements on how they want a bait to perform for their specific requirements and the reasons why. Then with our extensive sourcing and manufacturing capabilities, knowledge of ingredients and fish behaviour, we set about developing bait to satisfy their demands and therefore the needs of all modern anglers. All our baits go through extensive testing by some of the best anglers in the UK and Europe before their release to ensure that the quality of them is unsurpassed.